2010 Reprint of 1889 First edition. Helena Petrovna Blavatsky [1831-1891] was a founder of Theosophy and the Theosophical Society. While living in New York City, she founded the Theosophical Society in September 1875, with Henry Steel Olcott, William Quan Judge and others. Blavatsky wrote that all religions were both true in their inner teachings and problematic or imperfect in their external conventional manifestations. Her writings connecting esoteric spiritual knowledge with new science may be considered to be the first instance of what is now called New Age thinking. 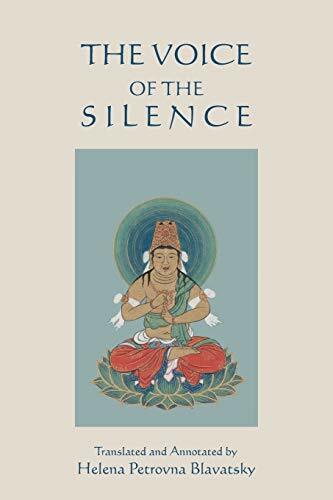 The Voice of the Silence is considered a devotional classic for theosophy, and concerns the spiritual seeker's inner transformation and awakening.